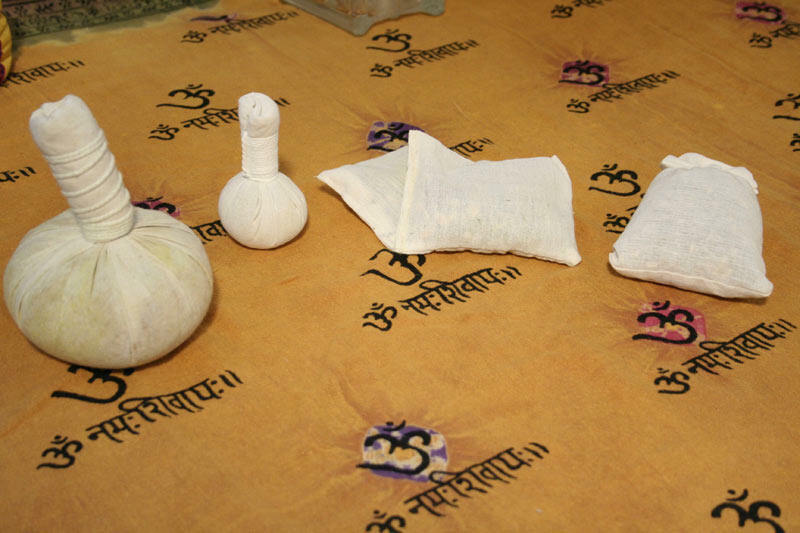 This course covers preparation and use of Thai herbal compresses, herbal poultices, or Luk Pra Kob, which has been used in Thailand for hundreds of years as a medicinal treatment with SIMULTANEOUS instruction of the Level 1 Fundamentals course. The herbs used in Luk Pra Kob, which are wrapped in cotton cloth and steamed prior to application, have been shown to have anti-inflammatory, analgesic and muscle relaxant properties. In addition, there are benefits to the skin as well as aromatherapeutic properties to the herbs, whose essential oils are released with steam. The course also covers the use of Thai herbs for traditional Thai herbal sauna treatments. We will describe the major herbs that are used in herbal compresses, their beneficial properties, common poultice recipes, safety considerations and how to prepare the poultices. The student will learn a treatment sequence that provides thorough coverage of the Sen lines. We will discuss how to integrate an herbal compress and Thai herbal sauna treatment with Thai massage and will touch on therapeutic applications. Upon successful completion, the student will receive a 20-hour certificate from Thai Bodywork. Each student will receive a Luk Prak Kob starter kit, included in the cost of the training. Since the application of the compress is best with skin contact, students should wear clothing that provides access to the back and shoulders, and either shorts or loose pants that can be rolled up. This course is approved by NCBTMB for 20 contact hours of continuing education in massage.